What’s an awesome way to spend an evening? Trivia Night at Lucky Bernie’s! WIN PRIZES!!! 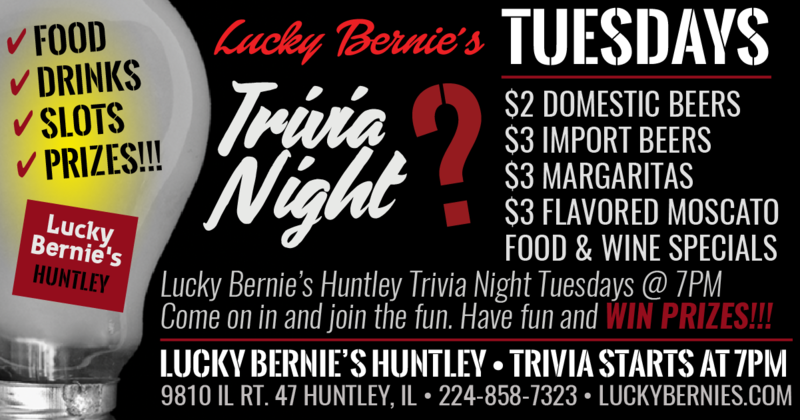 You’re invited to Lucky Bernie’s Trivia Night Huntley IL. Think you have the brains to beat everyone? Bring your friends and show them what you’ve got. We’re giving away prizes to winners so don’t be shy.